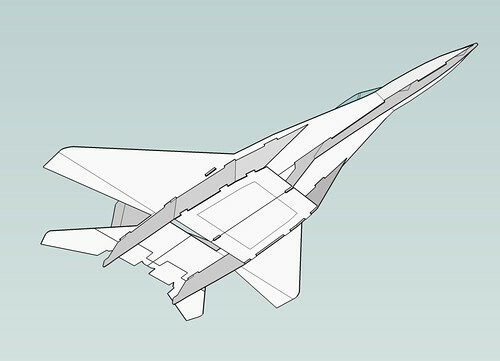 I've designed a profile MiG-29 pusher that is built from 6 mm depron. It has a thread over at RC Groups (http://www.rcgroups.com/forums/showthread.php?t=757214), but I thought that I should share my plans in this forum too. The tiled plans should be printed centered at 100 %. Thanks for sharing the plans, and Welcome to Wattflyer!! Here are some new pictures thanks to eliworm. Didn't realize you signed up over here too. Since no other actual fliers have chimed in here, let me say that I absolutely LOVE flying this plane! The aerobatics are awesome! This thing literally flips over on itself when pulling full up. CHELLIE, you need to build this, trust me! 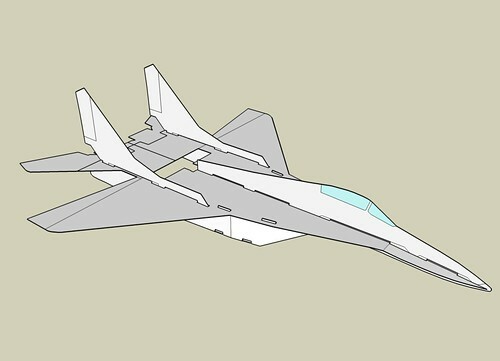 tomhe also has plans for a very nice F-22 over on RCG (maybe he can be convinced to post them here as well? ), as well as an Su-37 he just posted today. 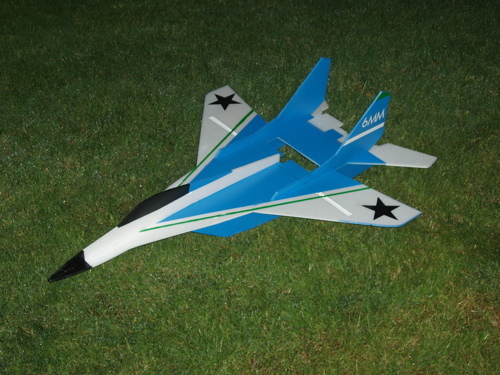 I have the F-22 too, and will be building the Su-27 shortly. 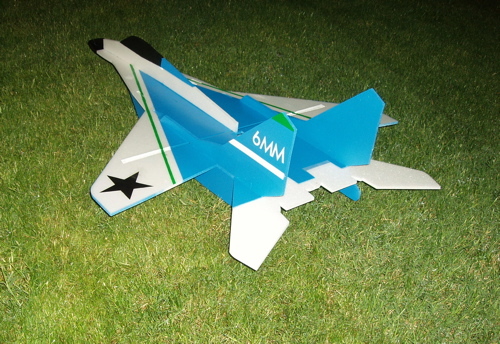 These planes are amazingly simple to cut out (or buy a ready-cut kit from www.6mmflyrc.com) and assembly is so simple that instructions are not even needed. Thanks tomhe for the nice planes and plans! That'd be a good match for the Ikarus SU-27 XXL. If you use 9mm, then you can scale up to 150% and it should be just right. Ya' need to use mo rudda! That is a great flyer, Chellie. A touch of nose weight and look out huh!? Flew just great on it's maiden the other week, it's on you tube Al looks like a pro "chucker" there huh!!? Maybe a pusher build is in my future, I am looking to build my Stryker soon so that'll be a good start. Hi Sir, May I get its Dimension(PDF)?. Looks bigger in XXL size.